God Mars is one undisputed champion of combiner robot of my childhood. But what if, it can evolve further, to be an edible robot? We would probably call it, …God Mars Bar. Disregard, I was just hungry. Avid hunters of God Mars vinyl records knew that there were lots of releases for this series, so don’t forget to check the God Mars category on the right as usual. This post happens to be the second one of the series. I enjoyed the OST album more than this “Best Of” album. The OST one mixed the instrumental and vocal numbers masterfully, and managed to draw me into the world of Mars, and his complicated adventure. This “Best Of” album felt just bland. This 1983 stereo King Record release picked 8 famous vocal tracks of the series. To make it worst, they put some drama tracks in-between. It’s trying to be immersive but fell short of the target. You should avoid this release at all cost. 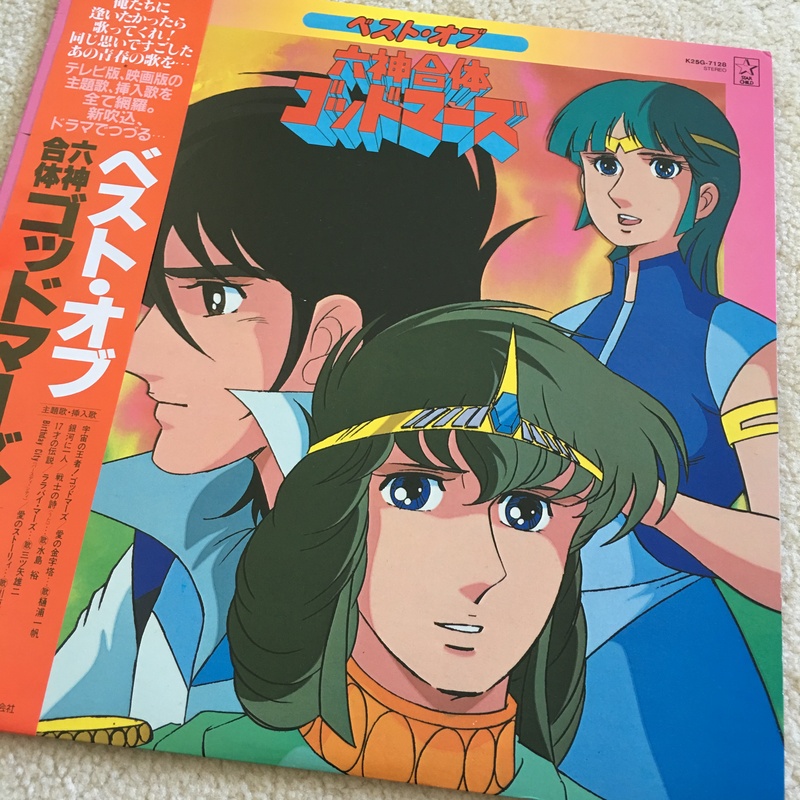 Start your God Mars collection with the OST one, and then later, get both of the BGM releases. We’ll feature them all here in the future. The jacket is only a single sleeve jacket, illustration on the cover is just so-s0. Will you be asleep before side-1 ends？ Before track 2 ends. Guaranteed. Here, a sample of “Lullaby Mars”.